Same review as the white shirts - GREAT shirts. Excellent fit. The sleeves were very wrinkled but after a trip to the laundry they will be fine. great quality and sizing. Like the brass collar tabs too. 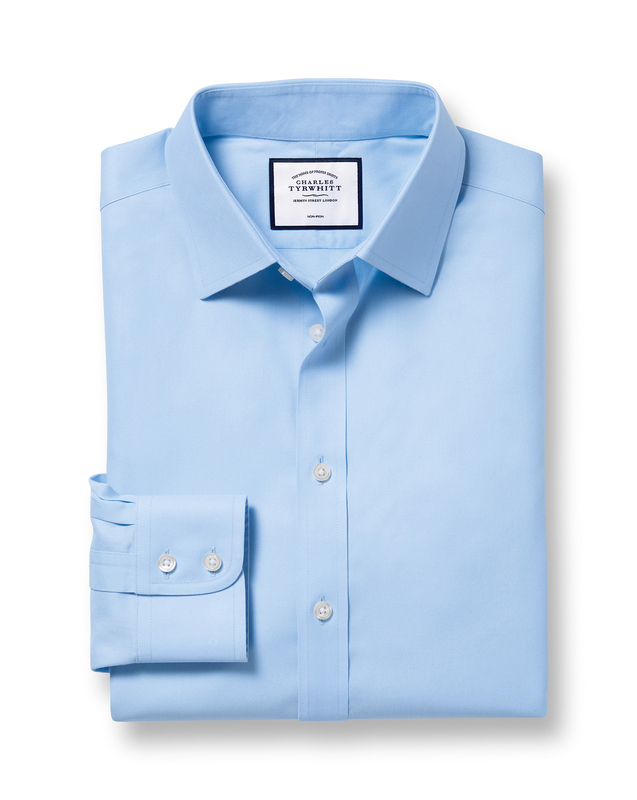 Response from Charles Tyrwhitt: I am very sorry to hear that you have received a shirt with a tear in the shoulder. This is most definitely not the condition we expect any of our items to be delivered in. I have organised for a replacement shirt to be sent to you, which I do hope will restore your faith in us. Please do expect to receive a confirmation email very soon. In the meantime may I kindly ask you to return the faulty shirt to us, at your earliest convenience, using our online returns portal: www.ctshirts.com/rebound which is where you are able to obtain your free label for return. Thank you for notifying us of matter and do hope you will enjoy your new shirt once received. A nice shirt, well made and nice weight.